Any woman who has ever carried and birthed a child, in whatever fashion, deserves her own ESPN highlight reel — blood, sweat, tears and the eventual triumph of holding her newborn baby. To be clear, childbirth isn’t a game. You can’t plead with the referee when you don’t like a call or leave the field when you’re tired. Still, as a lifelong athlete, I saw childbirth, especially an unmedicated one, as the ultimate challenge of physical endurance, mental stamina and my ability to handle pain. When I became pregnant in January 2018 and set about preparing for the monumental task of birthing a human, I loaded up on prenatal vitamins, kept a daily routine of birthing stretches and exercises, and endured an eight-week birthing course. An image of the lead female competitors in the New York City Marathon, who bring me to tears when they run past my Brooklyn apartment each year, filled me with confidence for labor. Washboard-like abs. Lean legs showing off every strand of muscle. Calm, focused and confident expressions on their faces. However, as my due date came near, I clung to a fear of pain and the unknowns out of my control. How long would my labor be? Would my mind fall apart? What if my pelvis wasn’t the optimal shape or I stopped dilating? **Currently St. John’s in Santa Monica and GraceFull Birthing Center in Silverlake are the only facilities in the LA area that offer nitrous oxide during labor, to my knowledge. Many women have turned to laughing gas as a drug-free alternative to get through the pains of childbirth. New mom Megan Edmonds gave birth to baby Asher with the help of laughing gas, also known as nitrous oxide. “My goal was to, to try to get through with no drugs and no epidural. It just takes the edge off. I would say about 35 to 40 percent of the edge in the beginning of contractions and everything,” Edmonds said. It changes and alters the perception of pain for patients, according to Dr. Albert Phillips at the Providence Saint John’s Health Center (PSJHC). The PSJHC is the first hospital in the region to offer nitrous oxide for birthing moms. “Nitrous oxide is actually being used all over the world, but here in the United States it didn’t seem to get as much favor as it did in other parts of the world,” Phillips said. It’s about time!!! 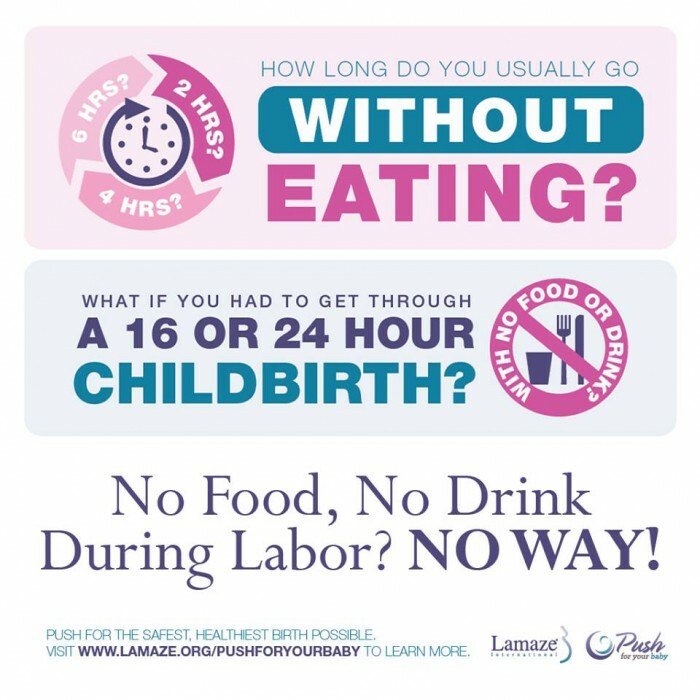 The American Society of Anesthesiologists (ASA) announced this weekend that most healthy women can skip the fasting and, in fact, would benefit from eating a light meal during labor.